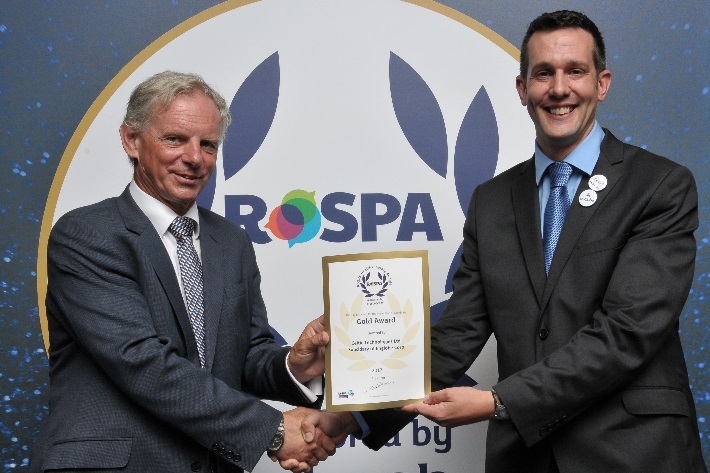 Celtic Technologies Ltd Subsidary of Englobe Corp is a winner at the RoSPA Health and Safety Awards 2017, achieving the Gold award in the prestigious annual scheme run by the Royal Society for the Prevention of Accidents (RoSPA) for the third year in a row. Celtic were presented with the award during a ceremony at the ExCeL, London on Tuesday, June 20, 2017. Celtic’s award was received on behalf of Celtic’s Staff by T Bamber Celtic’s UK H&S Manager and presented by: Ian Bucknell, RoSPA Trustee, In the presence of: Lord Jordan of Bournville CBE, RoSPA Vice President and Errol Taylor, RoSPA Acting Chief Executive.